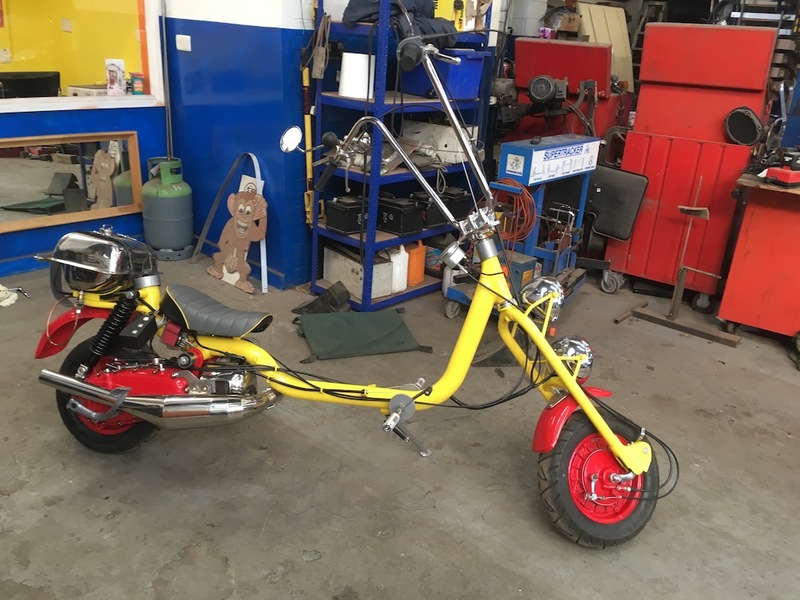 The interesting creation here started of life in Italy as a regular 1958 Lambretta LI 150 before making its way to the U.K and receiving a few modifications. 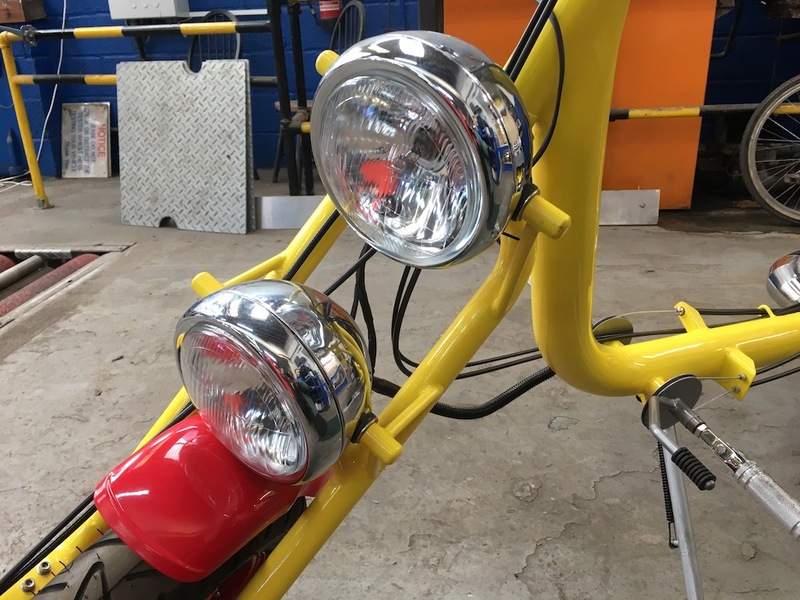 The frame was stripped bare of every bracket and panel before being lengthened by 8″ (20 cm) in the centre, and 4″ (10 cm) in the front upright, the steering yoke was shortened 7″ (18 cm) or so and 10″ (15 cm) added to the forks. 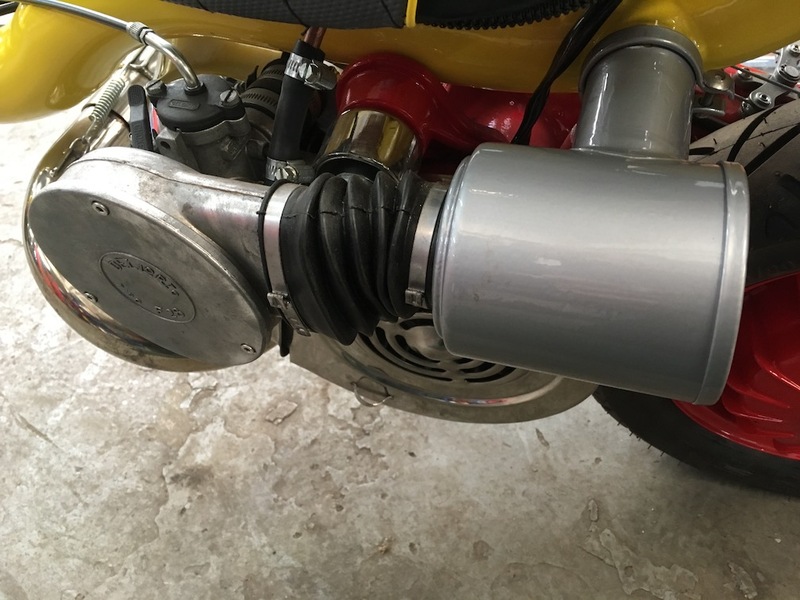 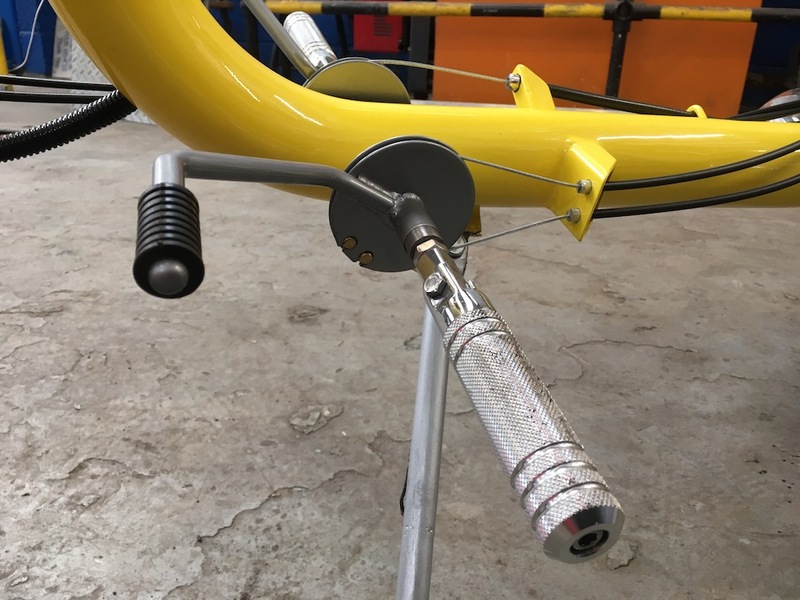 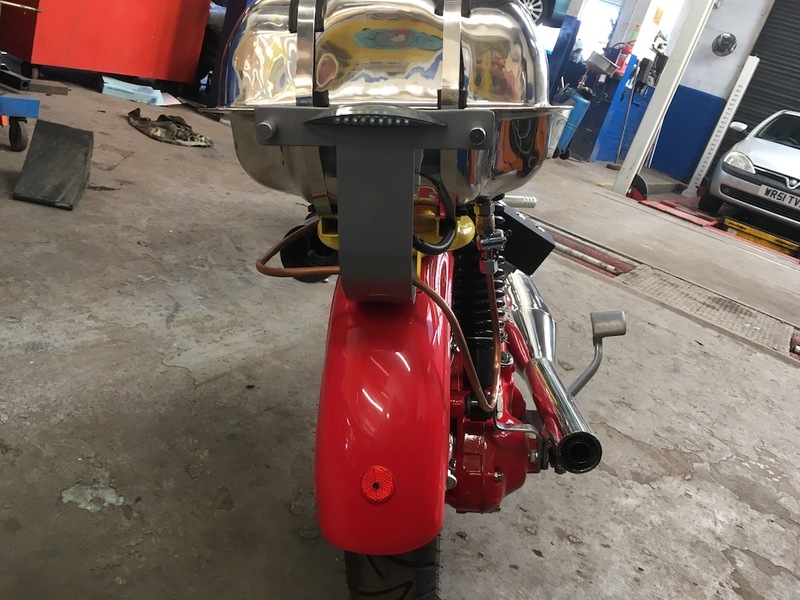 The engine having been fully rebuilt is virtually standard with only electronic ignition, a slightly bigger carburettor and exhaust being fitted, tyres, suspension and brakes are also standard Lambretta items. 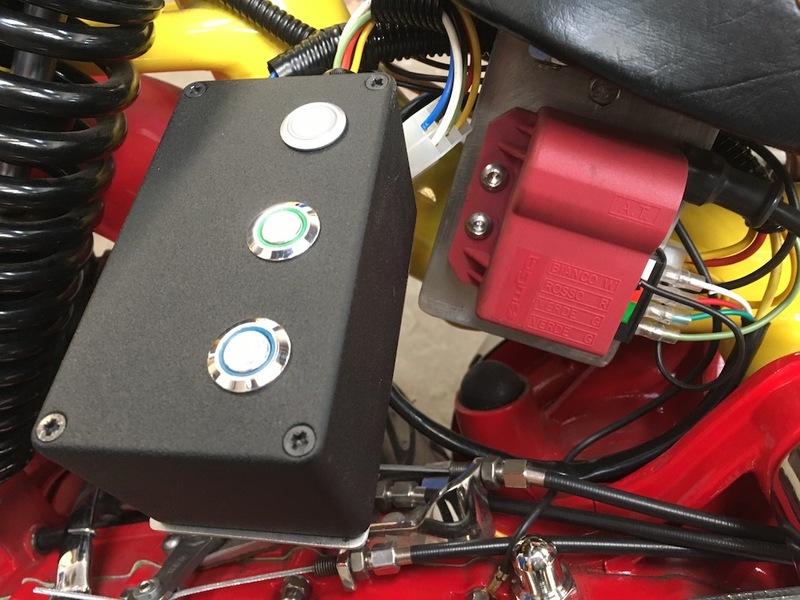 The engine is believed to be around 6 hp giving an estimated top speed of around 50 mph. 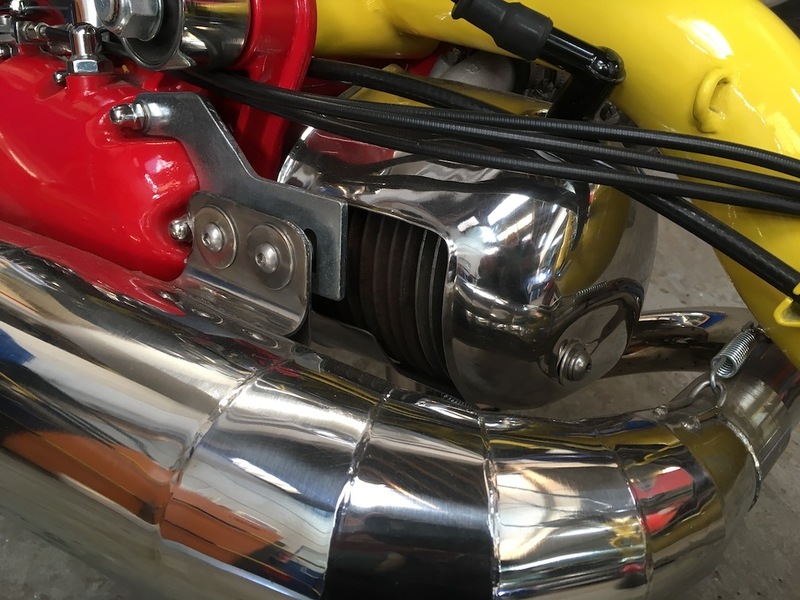 By all accounts even with its reasonably low top speed by today’s standards it is an exillerating ride not for the faint hearted.